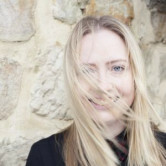 When it comes to spreading a diversity message, Andrew Howie, group marketing manager at MLA told AdNews this idea came from the learning that many Australian’s felt they weren’t being represented in mass media. This spot is the second big ad for the MLA for the year - following its big Australia Day execution. This ad was bathed in controversy this year, with one community in particular taking offence. The ad become the most complained about spot of 2016 according to the ASB, with complaints centring around violence displayed when a table is touched and the use of the term boomerang. Of the Australia Day spot, Howie says: "We take a continual improvement approach at MLA. Every time we do a campaign we put out what we believe is the best possible iteration, we take it to market, we get feedback and we take those learnings forward to the next campaign. There’s no particular learning from Australia Day campaign, for whatever reason it’s our most successful campaign ever, but that doesn’t mean it can’t be improved." The spring ad will run across TV, social, out of home (OOH), but to truly be inclusive the campaign will be approaching these channels a little differently. In-language social media posts have been created to tailor its communications to languages other than English for the first time. The 90-second content will be shared across Facebook and YouTube, and the lamb message will also be spread across WeChat and Weibo to further engage Australia’s Chinese community. MLA has also used UM’s proprietary tool Dimple (Diversity in Media: Planning Language & Ethnicity) to inform a multi-language News Limited Community Press partnership and high-impact OOH digital display activity. Focusing on areas with diverse backgrounds, the campaign aims to spread unique messages linking lamb to diversity around sexuality, culture and language with Arabic, Vietnamese, Mandarin and Cantonese translations. The OOH MOVES will also speak to the sight impaired community with specific braille placements in key metro sites. On top of this the MLA will also launch ‘Lamb Get Togethers’, which centre around pop-up dining. Chef and lamb lover George Calombaris and a series of influencers will host their events and spread the message across their channels, as they encourage people to get involved. All of these activities will be partnered with a below-the-line and point-of-sale push. Meat and Livestock Australia (MLA) has launched its marketing push for spring lamb and this year, like many conversations in 2016, it centres around diversity. The ad builds on the brand’s ‘we love our lamb’ and ‘you never lamb alone’ concepts but this year aims to showcase the diverse nature of modern Australia. MLA also tackles head on the notion that has been discussed at length of late, which is that there are a lot of the same faces being shown on TV screens and in advertising - so it, in association with its agency The Monkeys, decided to do something about it. Shot in one take by director Paul Middleditch, the ad features indigenous Australians including Olympian Cathy Freeman, Rugby League player Greg Inglis and model Samantha Harris. Other Aussies present include Greek-transgender comedian Jordan Raskopoulos, television presenter Luke Jacobz, Bengali-Australian actor Arka Das and a long list of Australian extras. 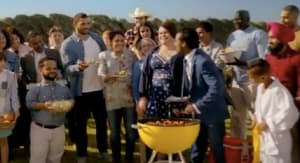 Co-founder and ECD for The Monkeys, Scott Nowell, told AdNews this is the first time the Spring campaign was approached in the same way as the brand approaches its Australia Day epic ad, with this spot hoping to highlight that this is what modern Australia looks like now. He went on to add that this is the right tone for the lamb brand, and messages such as this one are more important now than ever before because of the current global environment.